The anniversary of the Reformation in 2017 is a big year for Luther and Lutherans. All kinds of Reformation celebrations are being planned, and many are already underway. Perhaps what will be lost in the celebrations is Luther's own emphasis on humility. Some of the last words from his pen said that "we are all beggars," a final reiteration of his point that it is God who works good in his church through his word. Man is merely the instrument through whom God works, and Luther would remind us that this calls for a healthy dose of humility. 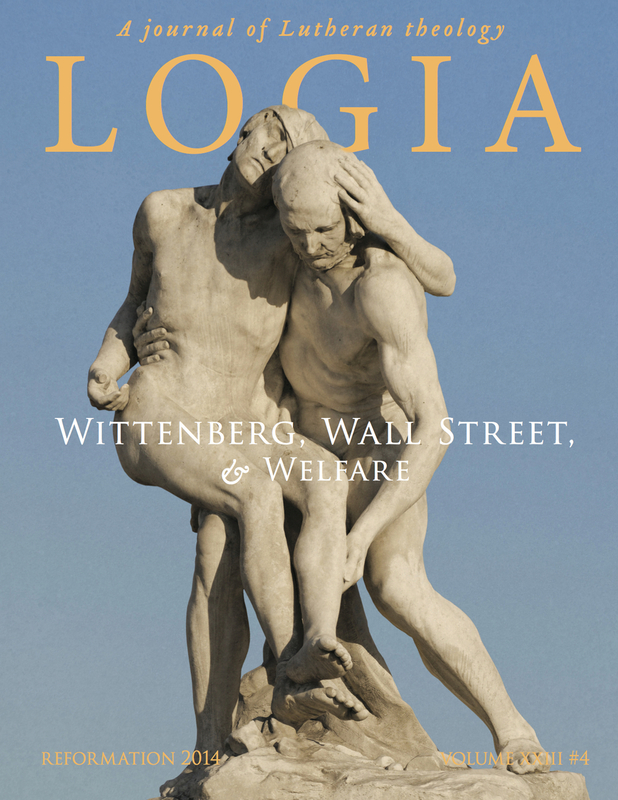 The Epiphany issue of LOGIA examines times when Lutherans have forgotten this point and fallen into the danger of triumphalism. The articles in the issue provide opportunity for confessional Lutherans to reflect on our own approaches to confessing the faith, and to ask if we have always done so with the humility befitting fallen sinners redeemed by Christ's grace and enlightened by his Holy Spirit. We feel this is a salutary reminder at the beginning of a year of Luther celebrations. The cover image is meant to be a visual way to reflect on such themes, and to inspire thought and reflection. 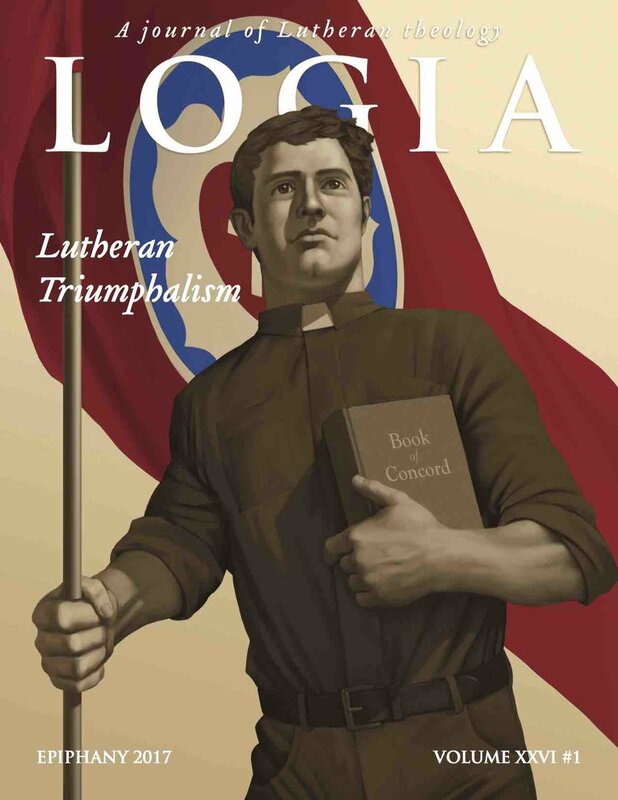 How does one picture Lutheran triumphalism? The cover image is one attempt to do so. It is not meant to portray a faithful pastor whose doctrine and life is normed by scripture and the Lutheran Confessions. The artist—a strong confessional Lutheran—had in mind those who heroically profess to be Lutheran while paying mere lip service to the Book of Concord. These are the kinds of Lutherans whom Kurt Marquart criticized for using the Confessions as a kind of "rabbit's foot," ignoring the content of the Confessions and stripping them of binding force while working for triumphal unions based on empty words about confessional subscription (Anatomy of an Explosion, Ft. Wayne: Concordia Theological Seminary Press, 1977, 66-76). The image is an intentional parody of the heroic realism of socialist art. We feel that it is an effective image to lead Lutherans to look at their own attitudes and to reflect on how they might continue to speak the truth in love to those inside and outside of the church. And, personally, I find it striking and thought-provoking that the cross is pushed to the background of this image and nearly invisible.